If you are a gardener and not on Twitter, no-one can really make you join. But you may be choosing to exclude yourself for some really really great chats. At least, I’ve found them to be wonderful places to learn, share and socialize with some awesome, fun and knowledgeable folks. I expect I will be updating this list as I go, so please leave others that you love in the comments (or if I’ve gotten anything wrong or it needs updates, please correct me!). Where possible, descriptions are taken directly from the chats’ resources. #gardenchat was created in 2010 by a group of garden enthusiasts who enjoyed sharing on the social network Twitter about their gardens. 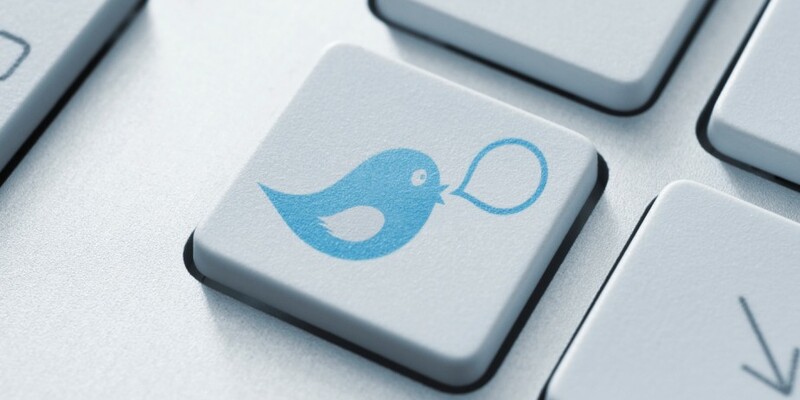 The hashtag was used as a Twitter based chat forum where garden enthusiasts from all walks of life connect and interact sharing ideas about their experience growing. As social media has evolved so has #gardenchat and the tagging can be found on Instagram, Google+, Facebook, just to name a few. Connect-Share-Grow Website was created in 2010 to help people connect with others, share and grow successfully. The #gardenchat Community consists of many gardening enthusiasts at all levels of growing. Many join in the conversation just to enjoy the beautiful gardens and flowers that are shared daily on the social network platform. Follow our networking on this website where you will find the current shares on Instagram,Vine,Twitter and Flickr. When you share using the #gardenchat hashtag you become a part of the growing community. An earthy weekly tweetups on all things soil. Let’s talk dirt! Hey Pam, since those are real time resources, do they post the chat somewhere for people who cannot attend? Or do you know of helpful podcats? For those that are Google Hangouts or podcasts (ie #gardenchatter or #rosechatradio) reviewing after the fact is just as easy. I’ll have to look for some gardening podcasts to add the list (or maybe to create as an additional resource list). There must be a lot of them. In fact, I’ll poll the twitter garden communities to share! 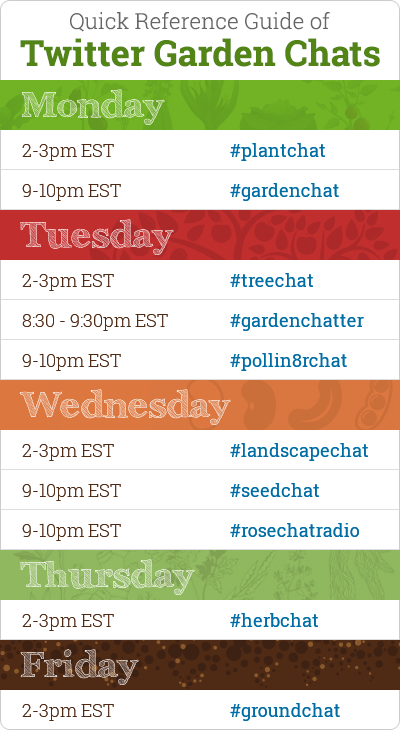 I love all the other twitter chats that have been growing over the past year too … great resources to meet up in real time with garden enthusiasts.